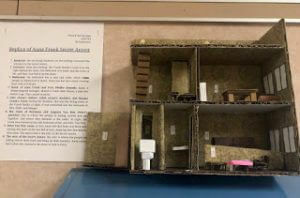 The 7th Grade Literature Class completed a novel study of Anne Frank: The Diary of a Young Girl. This classic diary has become a worldly remembrance of the horrific events during WWII. 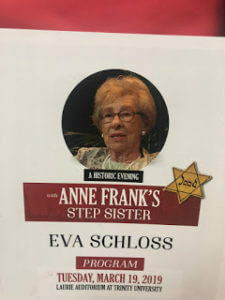 However, the students also understood her diary as a powerful source of inspiration and strength of someone their age. 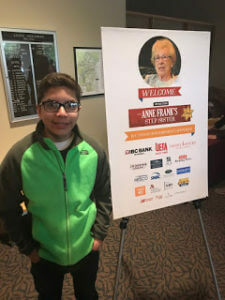 Some of our students continued the study at Trinity University as they attended an amazing evening with a special Holocaust survivor- Eva Schloss. 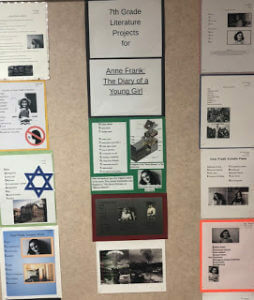 Eva was a playmate with Anne Frank as they were in Holland together. 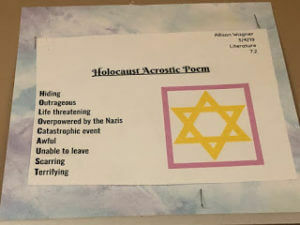 Unfortunately, later, they were both sent to Auschwitz Concentration Camp. Anne did not survive the camp. Years after, Anne’s father, Otto married Eva’s mother. Eva became Anne’s stepsister postmortem. 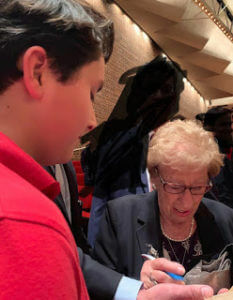 This incredible speaker gave our students an “insightful message…reminding us that life is precious and fragile, that the creative spirit is stronger than fear, that the power of good is immeasurable, and that love makes a difference.” One of our students was able to get an autograph. She graciously signed one of our novels. The students returned to class and spoke about their evening with her. Their classmates were intrigued and felt a more meaningful closure of the novel.